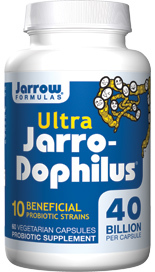 Jarrow Formulas Ultra Jarro-Dophilus is especially designed to maintain, protect and restore intestinal flora. 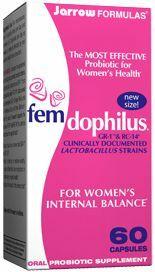 * The probiotic bacteria are combined with a gel forming matrix that helps protect them during transit through the stomach. 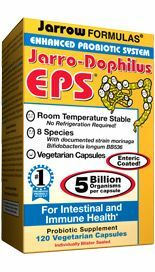 * Each capsule contains 40 billion total probiotic bacteria. 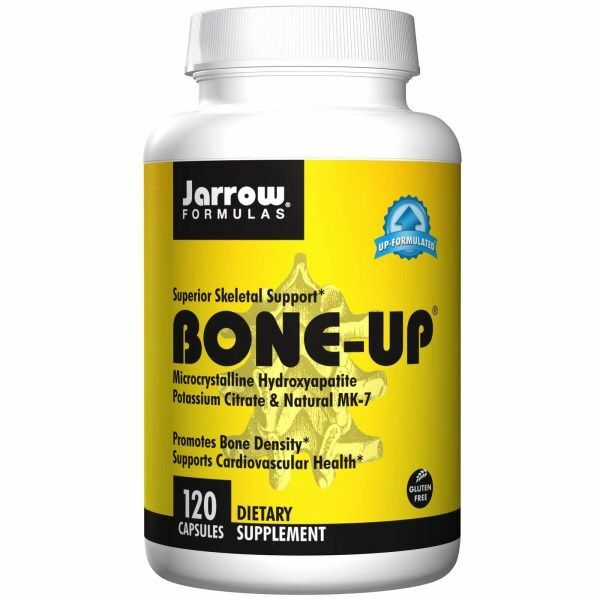 Take 1 capsule per day with water and a meal, or as directed by your qualified health care consultant. Other Ingredients: Sodium alginate, rice maltodextrin, tapioca starch, magnesium stearate (vegetable source), silicon dioxide, vitamin C and tricalcium phosphate. Vegetarian capsule consists of hydroxypropylmethylcellulose. A: We are not aware of this product or probiotics in general causing gas and bloating. 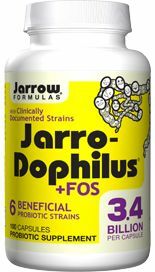 Many people, in fact, use probiotics to help with gas and bloating, as well as IBS (irritable bowel syndrome). 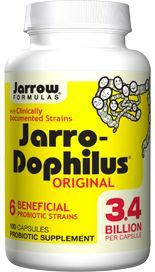 Question: Does Jarro - Dophilus contain DDS 1? 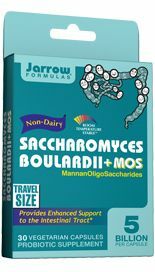 Question: HOW MANY STRAINS IN THE SACCHAROMYCES BOULARDIIMOS?